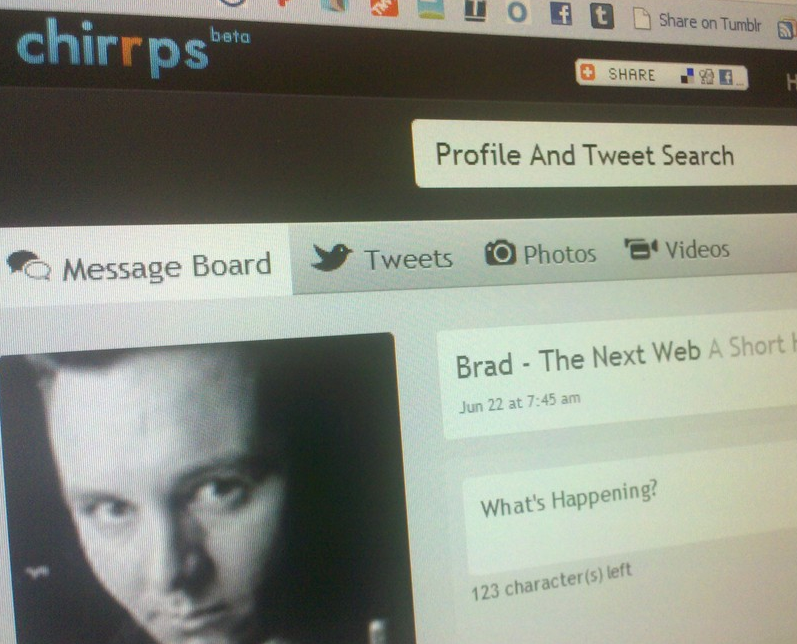 Chirrps is not your next Twitter client...and that's why you'll love it. Chirrps is not your next Twitter client…and that’s why you’ll love it. To make the understatement of the decade, I’ll say that there are a lot of Twitter clients out there in the wild. With that in mind, it takes something pretty special to catch my attention. Chirrps is the latest to have done so. Chirrps is a web-based Twitter client that focuses on things a bit differently than we’ve seen in the past. First, it has a robust search function that allows filtering down to the minute. Personally, this alone was enough to impress me to the point of writing about them. But Chirrps didn’t stop at search, and it’s a very good thing. What Chirrps allows you to do is essentially Google-stalk your media profiles around the Internet, and add them to your own profile on the Chirrps site. 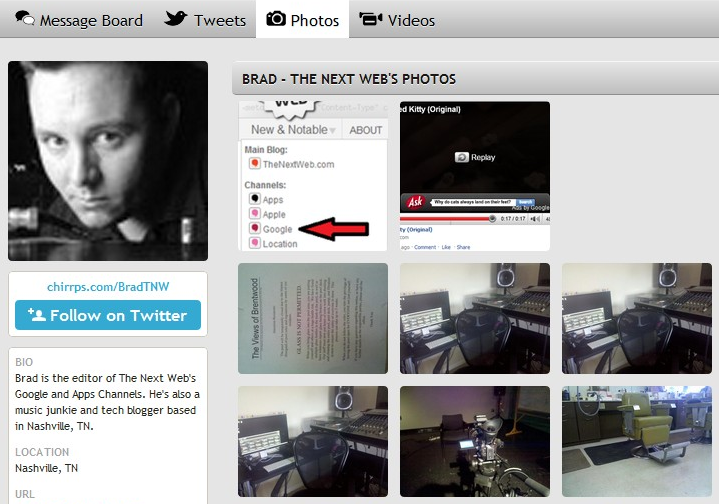 You can add profiles from YouTube, Vimeo, Flickr, Picasa and (if I’m not mistaken) Chirrps actually pulls in your Yfrog and TwitPic information on the fly. What you’re left with is a fairly robust profile page, with tabs for Tweets of course, but also tabs for Photos and Videos. Now, a few words about what really sets Chirrps apart; the search function. When you head to the main page, Chirrps provides you with what’s hot in news and trending topics. This goes considerably deeper than the main site, however. Where Twitter allows you to see what is trending and what is popular via Retweet, Chirrps goes down even further. You can find out what has been retweeted a set number of times by selecting your preferred number. Also, you’ll be able to see present news, news over 24 hours or even take it out to 48 hours if you so desire. Will Chirrps be your new Twitter client? It’s not likely. Then again, I don’t think that’s what the site is aiming to do. Think of Chirrps as a resource to find out information, then find out about the people who are providing it. It’s a great tool, and one I’m sure I’ll be using in the future.